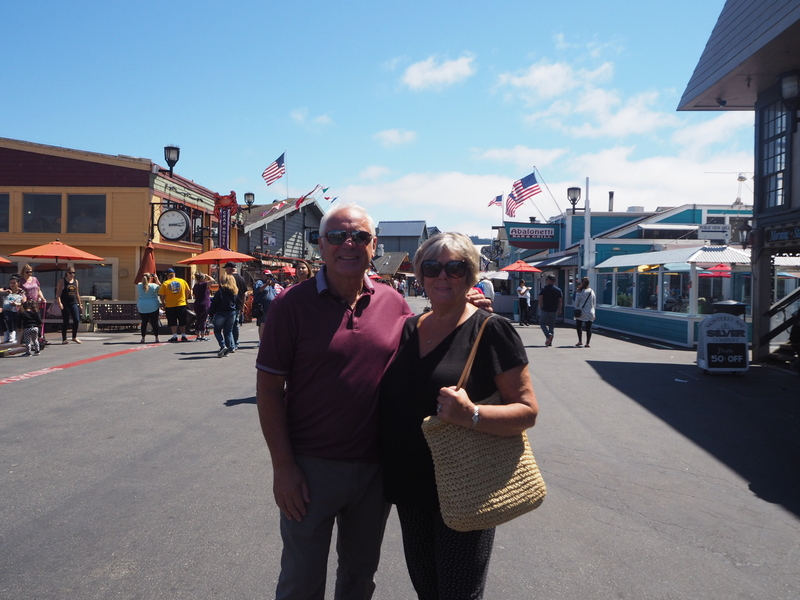 After three days in San Francisco it was time to begin our journey along the Pacific Coast Highway. It’s long been on my bucket list and it met and exceeded all of my expectations. 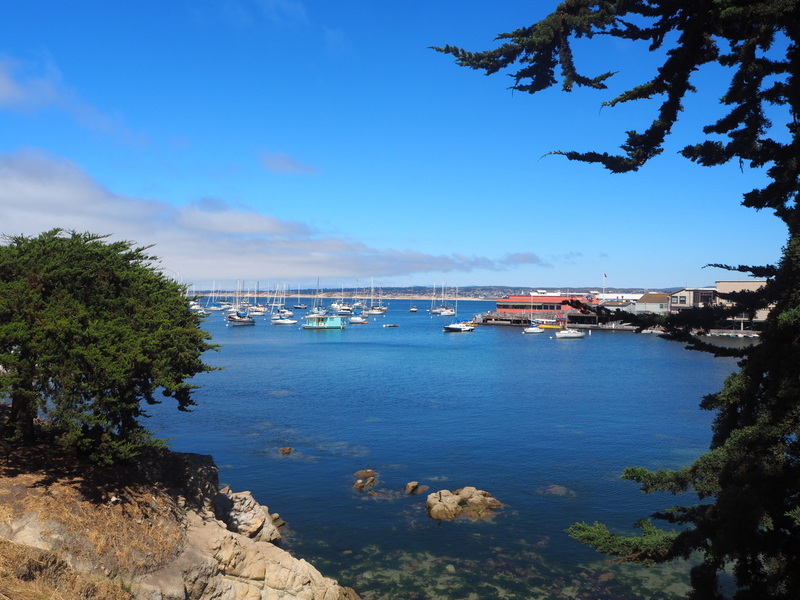 We picked up our rental car from the city centre depot and headed out towards our first stop – Monterey. 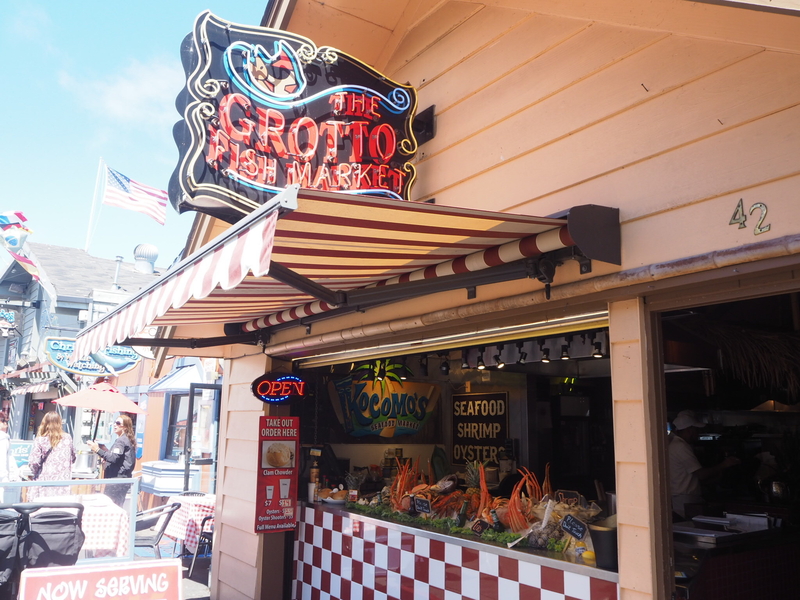 Situated along California’s central coast, Monterey is picture perfect and is famous for its own Fishermans Wharf and Cannery Row which was once the centre of the sardine canning industry in the area. 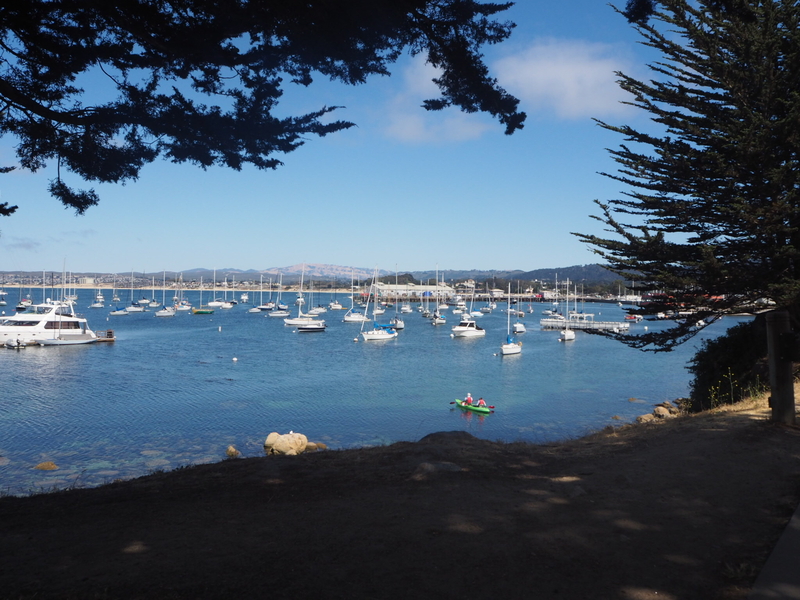 We stopped just before the wharf at a park with a big lake where people were renting out pedal boats and had a picnic. 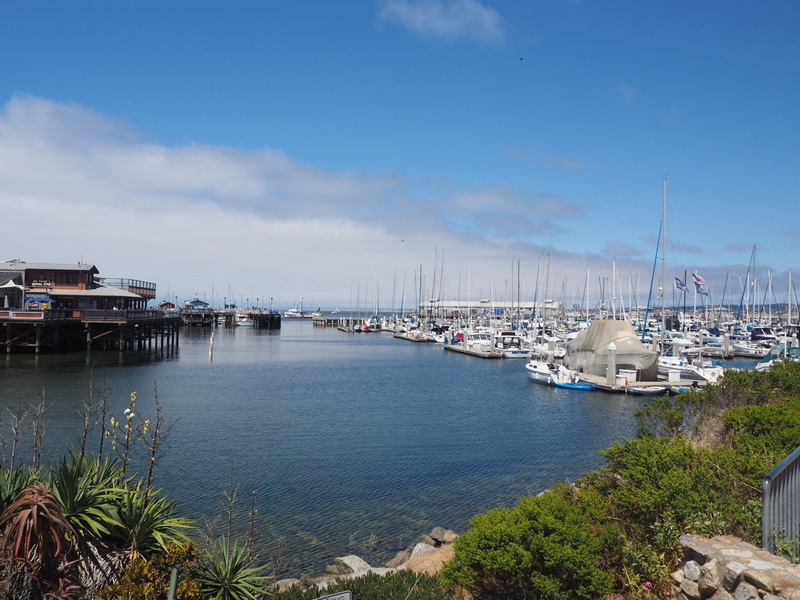 After this we parked up and took the short walk towards Fisherman’s Wharf. 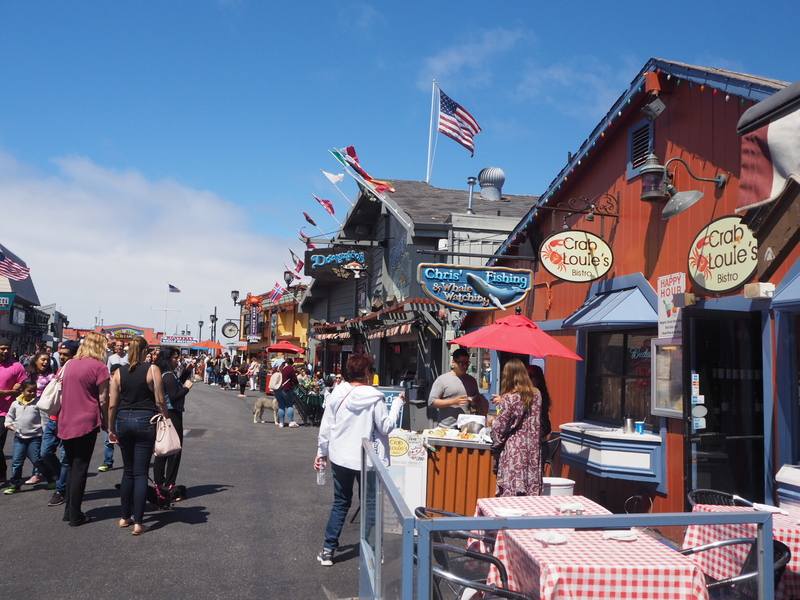 Although no where near as big as San Francisco’s Fishermans Wharf, Montereys version has it’s own charm. It felt much more historic and was a lot less busy. 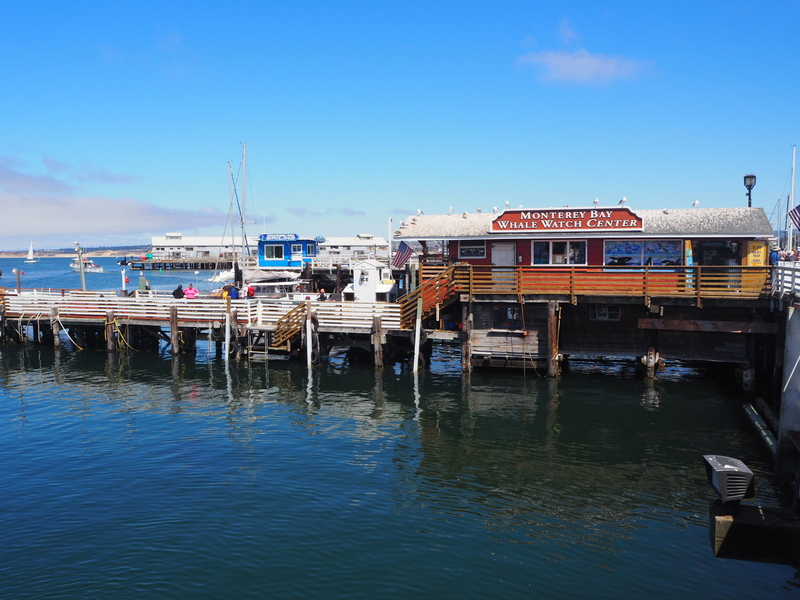 Built by The Pacific Coast Steamship Company in 1870, the wharf is now lined with seafood restaurants and it was here we got our first sample of the famous clam chowder. A number of restaurants were giving out free samples and it was just as delicious as everyone says it is. 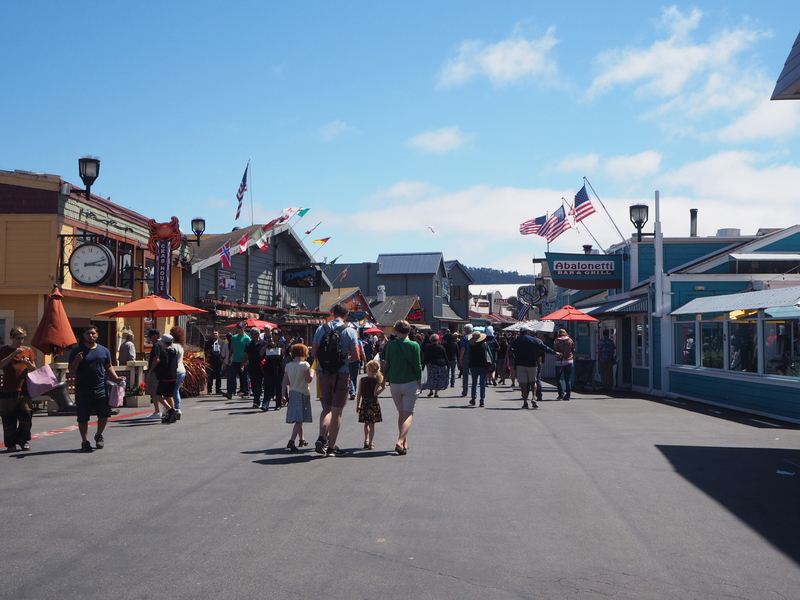 There is a lovely paved walking path between Fishermans Wharf and Cannery Row which is a really nice walk and is less than a mile long. 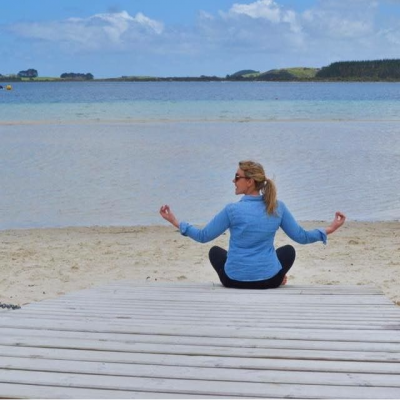 The views between the two are really stunning and we even got to see some seals basking on the rocks below. 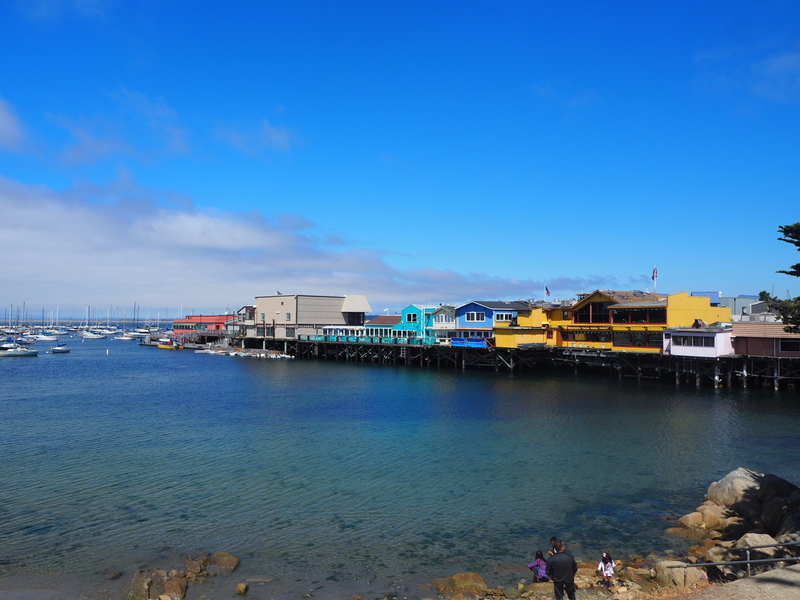 Arriving at Cannery Row, you can see the old sardine canning factories now converted into hotels and shopping and dining options. 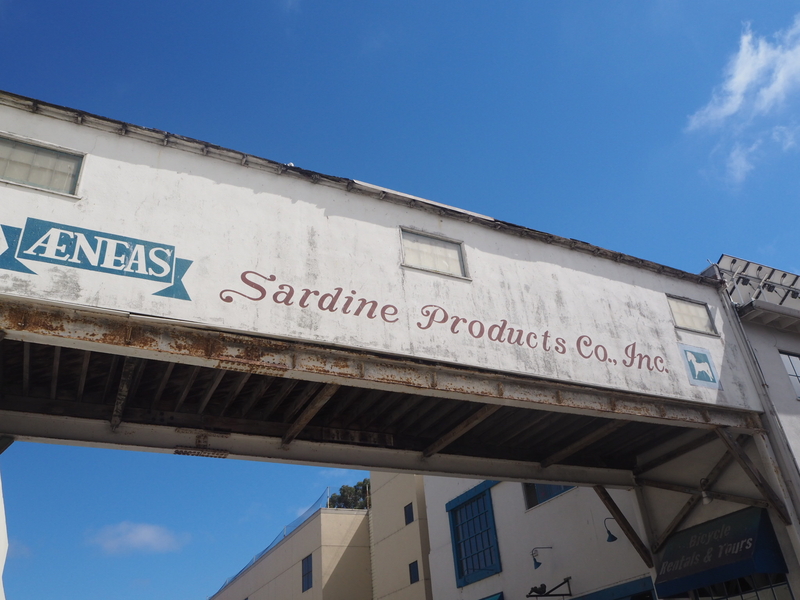 The last cannery closed in 1973. 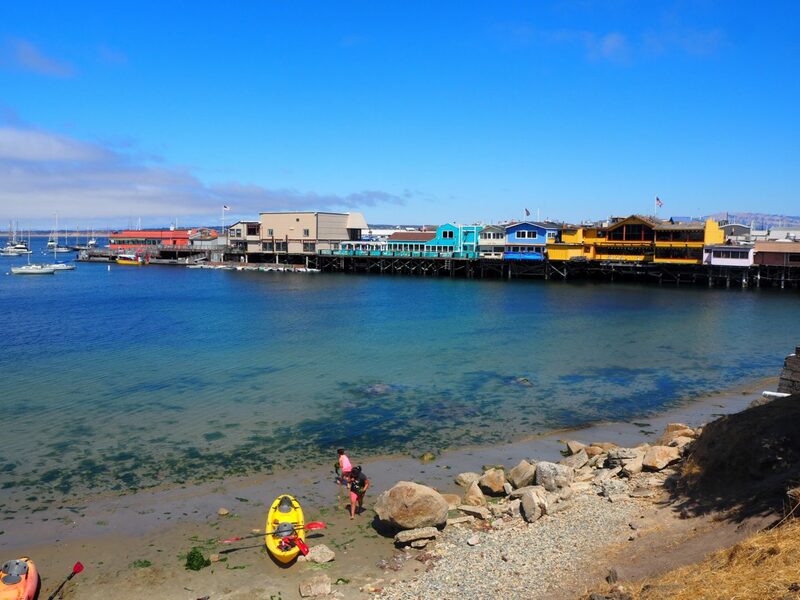 It is a fascinating area to wander around and imagine what it would have been like when it was full of working canneries. 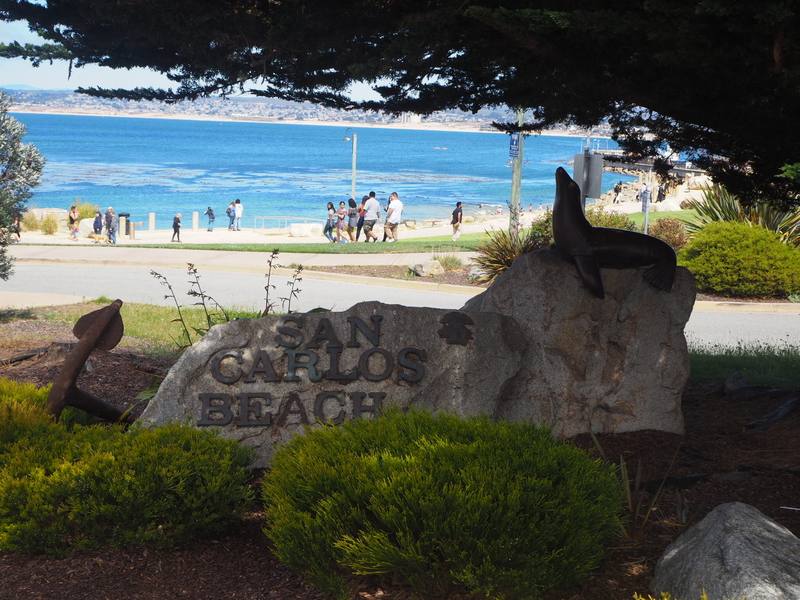 After a wander around the area we headed back on the walking path to Fishermans Wharf and passed the beautiful San Carlos Beach. 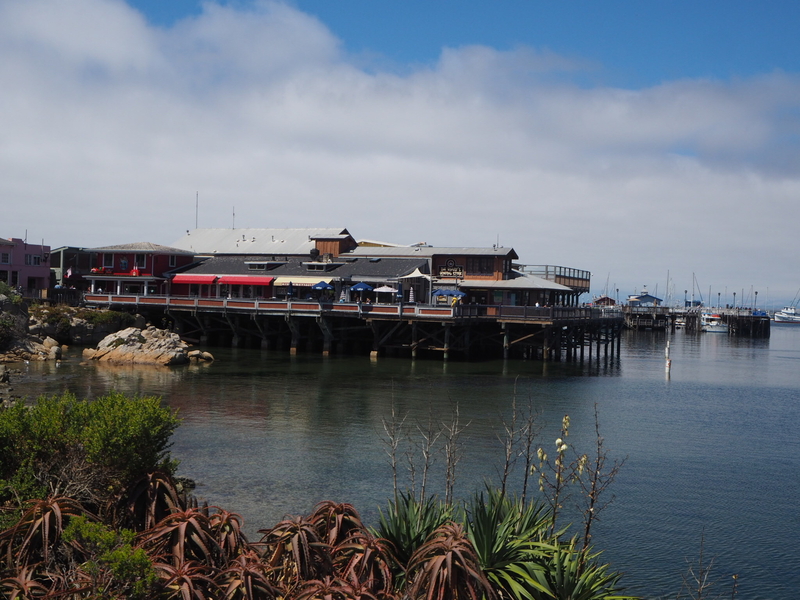 I really loved Monterey and if I ever return I would love to stay for a night or two. 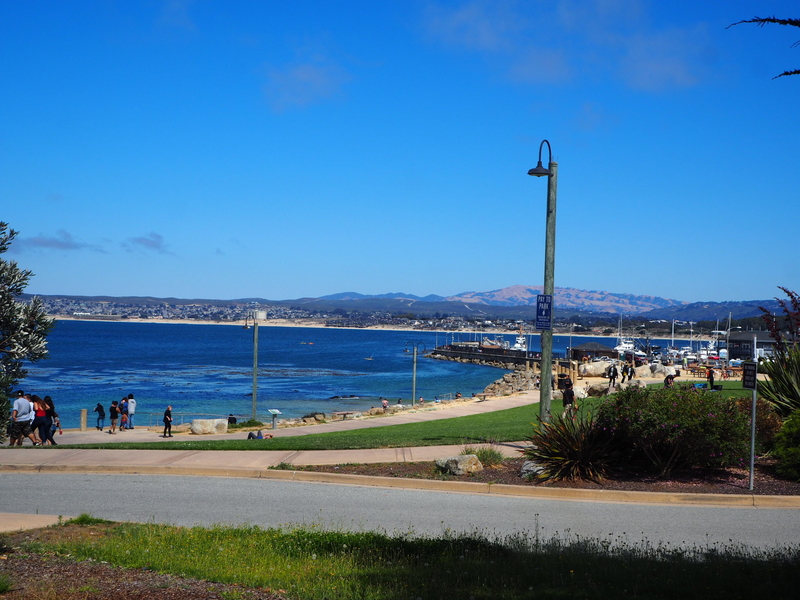 We headed off to complete the famous 17 mile drive and to our rest stop for the night – the beautiful Carmel By The Sea. There will be more on both of these in my next post.